Plan your Organic Thanksgiving dinner with these healthy side dish options. The variety of flavors we share will have you craving these cranberries, pumpkins and breadcrumbs all year long! But for now, enjoy these dishes as you sit down with loved ones giving thanks for what you’re grateful for in life. Dive into this tasty salad with or without feta cheese! Greens have never tasted so delicious with this easy to make recipe. Only 3 ingredients to make this fresh cranberry sauce, adding a sweetness of an orange to bring out the flavor. Spice things up with an autumn fruit in this side Thanksgiving dish. Never buy pre-made rolls again. Make this bread instead. 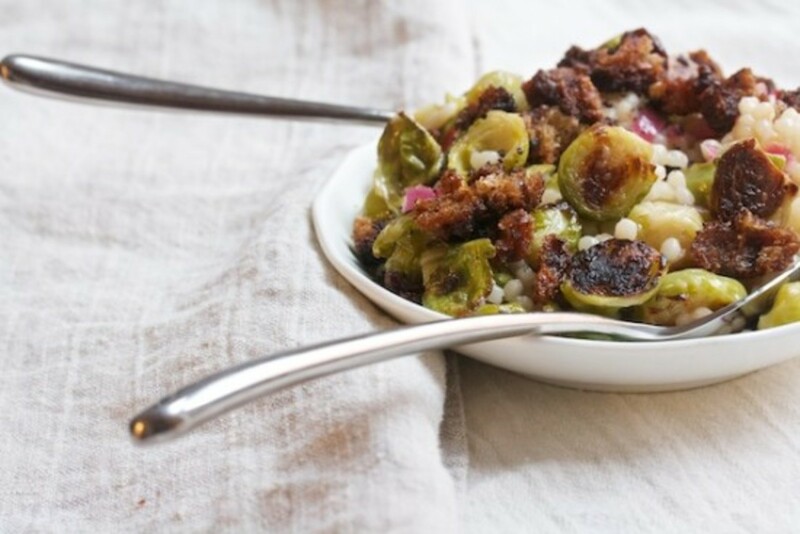 Brussels sprouts get a bit of a makeover in this warm salad. This dish can work as an excellent appetizer before the Thanksgiving meal. Make it with gluten-free bread and everyone is happy. 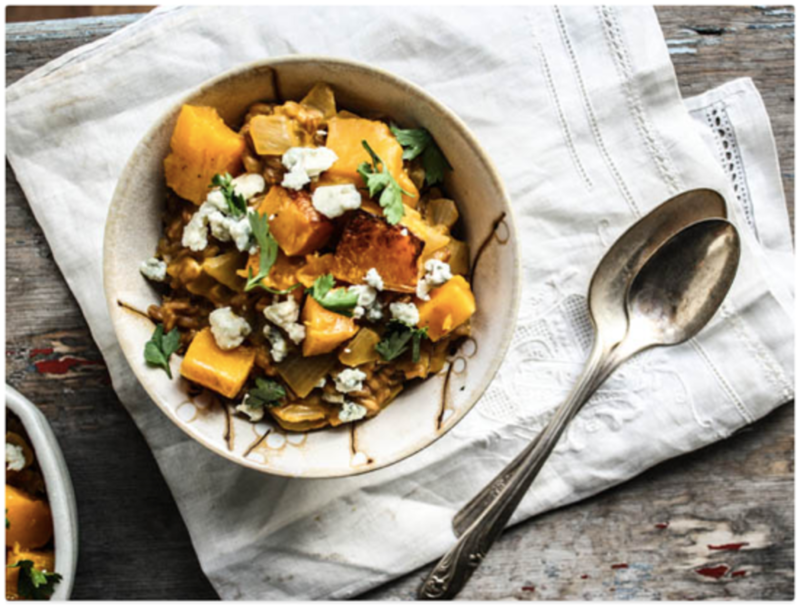 Squash deserves a place on the table this time of year, and filled full of quinoa this recipe makes for an extra healthy side that’s as good for you as it is aesthetically pleasing. A side of brown rice? Boring. This? Much more exciting. So many seasonal fruits in one relish. Enjoy your breadcrumbs without feeling guilty. No more green bean casserole; try this refreshing dish instead. A revamped version of a classic, this pie will work for your vegan and omnivore friends alike. If you’re looking for a lighter dessert that still has the spicy taste of autumn, this one’s for you. And made with real pumpkin! Share your healthy Thanksgiving dish with us on our Twitter, Instagram or Facebook page! Original article and photo courtesy of The Organic Kitchen and Eating Well.